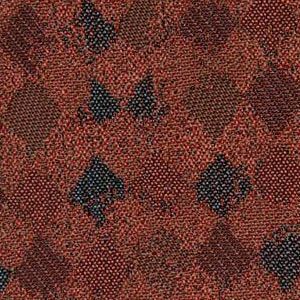 Auburn is a woven, textured, contract grade diamond pattern in Brick Red, Strawberry Red and Teal. The diamonds measure approximately five eighths of an inch in height and one half inch across. With great durability this fabric works well in any setting where high traffic is a consideration. Auburn is suitable for drapery, curtains, cornice boards, pillows, cushions, table toppers, bedding, headboards and furniture upholstery.